Throughout the 1700s, the turnpike system spread throughout Britain, charging travellers a toll (fee) at different points along its roads to pay for maintenance and improvement. This tollhouse is in Oborne, Dorset. Often situated in isolated areas of the country, the toll collectors needed a good view from these houses in case of attack from thieves or protestors. Turnpikes were points – usually gates – in the road, where travellers were made to stop and pay a toll. This fee was designed to pay for the road’s maintenance and improvement. It was usually collected by toll-keepers, who lived in tollhouses next to the turnpikes. The system was disliked by many ordinary people, who saw it as yet another unfair tax that they could not afford. This often meant protests were directed at them, sometimes violently. The most well-known of these became known as the Rebecca riots, when male farmers, dressed in women’s clothes, attacked turnpikes and tollhouses throughout mid and south Wales in the 1830s – 40s. Turnpikes originated along the Great North Road (now the A1), the main highway between London and Scotland. They were run by trusts who organised the construction and maintenance of the gates, tollhouses, milestones, and roads. The introduction of ‘macadamisation’, John McAdam’s improved method for road construction, resulted in vastly improved quality from the 1820s. But the construction needed to be paid for. During the 1830s, there were over 1,000 trusts, administering 29,000 miles of turnpike roads, with as many as 8,000 tollhouses. At the height of the system, a traveller could expect to pay a toll every five to ten miles. Thomas Telford (1757 – 1834) was a Scottish engineer. He became known as the ‘Colossus of Roads’ but he also built famous bridges, canals, aqueducts, and distinctively designed tollhouses whose shape and position ensured a good view of the road from all directions.This Telford-like tollhouse would have included an office, living accommodation for the toll-keeper and his family, a privy (toilet) and a garden. The window above the door wasoriginally a ‘blind space’ to display the toll prices. With the development of railways across Britain, the turnpike trusts went into decline from the 1870s and the tollhouses were sold off. 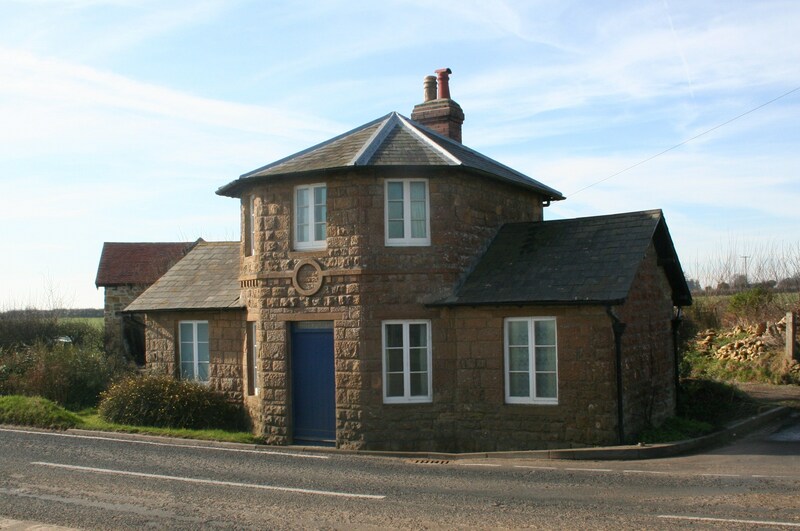 These charming, quirky buildings can still be seen around the country, mainly being used as people’s homes. Tolls in Britain are now rare. Probably the most well-known now are the M6 toll road in the Midlands, the Severn Bridgebetween England and Wales, and the Dartford crossing across the river Thames. Thomas Telford also designed the Pontcysyllte aqueduct. It is the highest aqueduct in the world and now protected as a UNESCO World Heritage Site. Rights Holder: Images courtesy of Alan Rosevear via Flickr.